For those of us who undertake these physical tests, the psychological effects of performing a Hero workout are tremendous. It’s easy to treat these prescriptions as any workout of the day, but for those who take the time to learn about the heroes they honor, the WODs can become as spiritual and emotionally demanding as they are physically grueling. When keeping the stories behind the real-life heroes in mind, slowing down during a Hero workout becomes harder to justify. When the pain of pushing harder becomes too great, I am reminded of the sacrifice these men made for my freedom, and my struggle becomes laughable. And when I compare my temporary suffering to the lifelong sorrow felt by the grieving families of these men, dropping the bar becomes an embarrassment to my country. 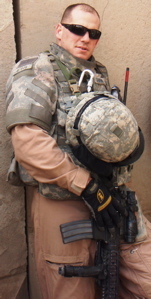 Tomorrow we will all honor USAF SSgt Travis L. Griffin, who at age 28 was killed April 3, 2008 in the Rasheed district of Baghdad by an IED strike to his vehicle. Travis is survived by his son Elijah. P.S. – I added the scorecard and an action shot from todays WOD below and a few more shots over on our facebook group. “Reflections on Memorial Day” by Mackubin T. Owens. At CrossFit Iota we will be celebrating memorial day with a HERO WOD. We will also be celebrating one of our members birthdays (Happy 30th Lisa!) Not to worry, those who do “Lisa’s Birthday WOD” (aka the Dirty 30) will have the opportunity on Tuesday to take part in a HERO WOD to remember and pay tribute to our fallen service men and women. They who voluntarily wear a uniform to serve & protect us. These HERO WOD’s have taken on an even more special meaning to us as we have quite a few members of the Smithfield PD who are training with us. We appreciate the service that they give to all of us and our community. 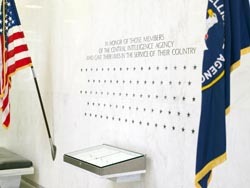 So with no further delay, the Memorial day we will do one of the newest HERO WOD’s called “The Seven”. CrossFit’s Hero WODs are challenging tests of fortitude—but they also represent something greater. Russell Berger takes a closer look at workouts created to honor our fallen. Read more here. Don’t forget, the workouts are always scaleable and if it looks to hard, click here. 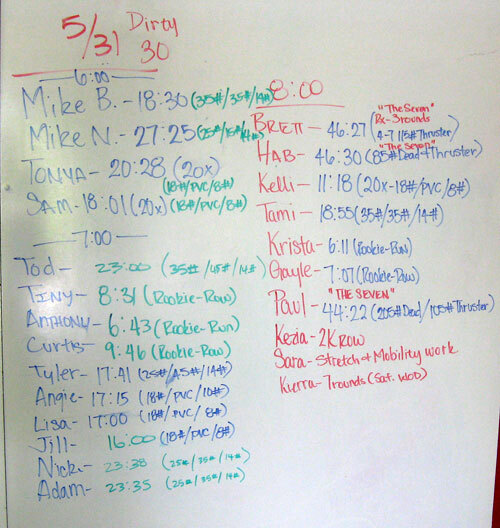 Dirty 30 Action Shot at the CrossFit IoTA Box!! Great week everyone. It’s been a pleasure introducing so many new people to CrossFit and I look forward to all of your success as you take control of your fitness, health and wellbeing. You ever get nervous before your workout? If you’re a Crossfitter you do, because you know your going to push yourself to the edge. That’s not a comfortable place to be. What’s unique about this program is that it asks you to push that limit on a regular basis. Why? I’m always asking why. Here’s what I think. Close to the edge, that’s where all the good stuff lies. The results, the neuroendocrine response (hormones). When your done with a wod in which you’ve laid it all out, nothing left, there’s more than just a sense of accomplishment. You’ve done something special, you’ve pushed your limit farther than ever before. It’s uncharted territory, for you anyway, and that’s something special. So, if you’re not getting a few butterflies, maybe you should be. 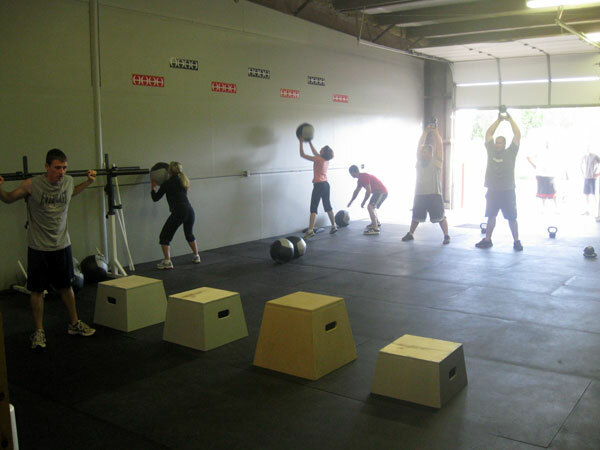 Memorial Day we will hold 3 classes – 6am, 7am and 8am! While the schedule above is generally correct, be sure and check our daily schedule here for Holidays or special events that we may be participating in as a team. A few of the members from the 6am class! Don’t ever feel like “I will never get this” or “I won’t be able to do this”. Believe me you will! We all start out in different places, and by being dedicated you will get better! 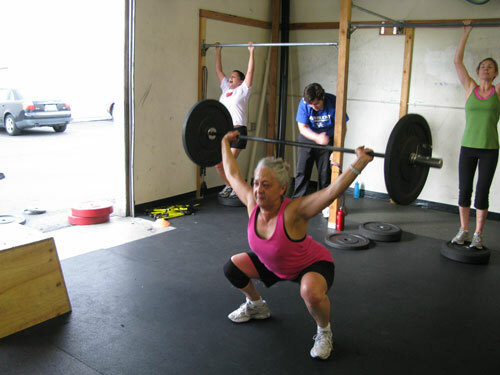 Here is a prime example of a CrossFitter from CrossFit Santa Clara with a “can do attitude!” That’s 65 pounds overhead! INSPIRING to say the least. Now that's a MEAN overhead squat!! New members: remember that ALL of the workouts are scaleable and as we discussed you will do the “Overhead Squats” with PVC or with hands placed high on the wall and you will be doing 4 rounds. Watch a few of Coach Brett’s 95# overhead squats from the second round here. I just want to let you know how proud I am off all of the members of CrossFit IoTA. Showing up is tha hardest part of what you do. 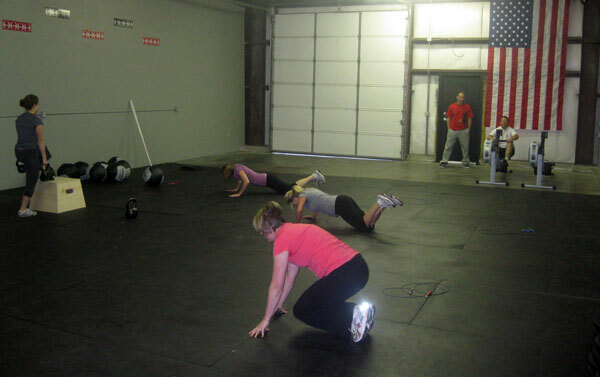 We saw some amazing work being done today of people pushing themselves to finish and getting thru the WOD. Keep up the great work!! Getting after the WOD at CrossFit IoTA. I also wanted to share with all of you an article from the CrossFit Journal entitled “Consistency before Intensity”. In this article Scott Semple shares some great thoughts about training. “I lost more than half a season to unrealistic expectations and a childish “more is better” approach to climbing and CrossFit. Now that I’ve committed to the process rather than the result and can be consistent in my workouts, my training is more effective and even more enjoyable. My gains are slower in the short term, but over a longer timeline they are far greater due to my ability to be constant.” I would encourage you all to stay committed to the process. Know that there is no magic pill, but that the hard work and perseverance will pay off. Remimber…. For those who took a rest day Wednesday (and as you know rest days are why you get better), we will have you do Wednesday’s workout. For those who did the workout today, we will have you do an endurance workout. Our first bench mark will be Friday!! Cover distance as quickly possible. Cover as much distance as possible in each of the 2 intervals. Update: The pull-up bars are almost in and our boxes are also almost complete. By Monday of next week everything we’ve been working on will be available for us to learn and work with. It’s been a great week and I look forward to working with all of you that will be joining us next week! 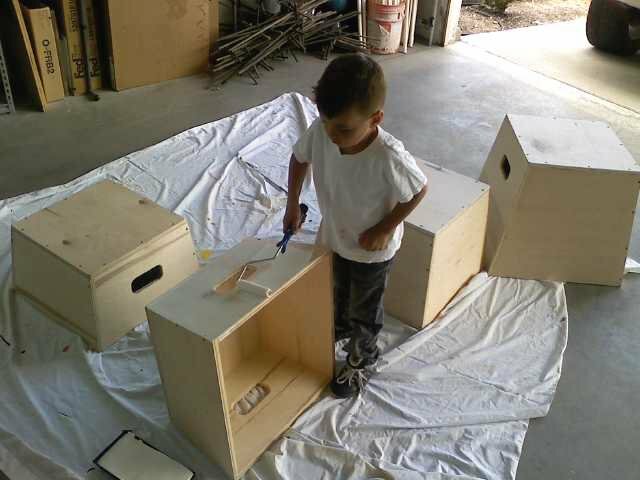 My little helper preping the boxes for our gym! Box Jumps anyone?